Before I start I have to let you know I'm a serious Luke Cage and Iron Fist fan. Especially during Brubaker/Fraction run on Iron Fist with the "immortal weapon" story line that had them being friends like in a buddy cop movie. I still have two episodes left as I write this but I have to say as much as I want to get through this one, it's kind of hard. I want to succeed because it is part of the +Netflix US & Canada Marvel Universe that is connected to the cinematic one as well. It is part of Daredevil, Jessica Jones, and the two shows coming that include The Punisher and Iron Fist. 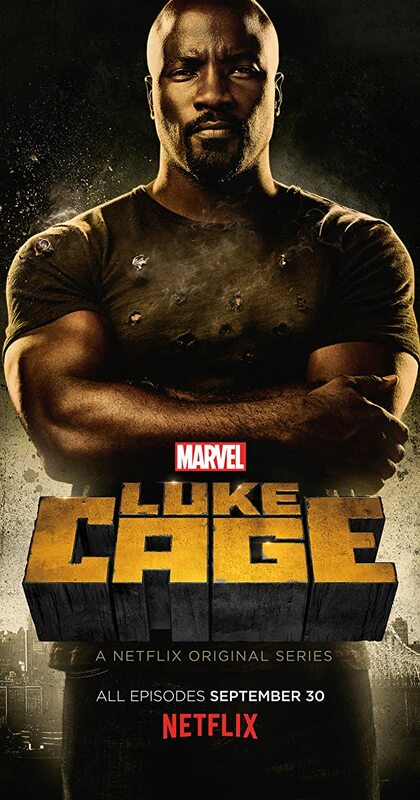 So, if you are a fan of the heavy action you saw in Daredevil do not expect much of that in Luke Cage. However, I think there is a reason for that and it has to do with what we compare in these shows. Some episodes feature titles of songs from classic hip-hop like DWYCK and the music from the show is really enjoyable. A lot of cameos are in the club owned by one of the villains and perform some great music that fits with the whole feel of the show. The performances by all the actors are great too, even for characters that might feel a little forced to the audience. Which could be why the show felt a little slow. It is not uncommon for a show to have underlying tones when they try to be overly dramatic. This Netlflix original may have been trying to do that, which is good for the actors but when you try and follow that last season of Daredevil in the Marvel feed, you got to try and keep up that momentum. By Momentum, we're referring to the action on screen and some comments are kind of negative on the way Cage fights. However, you have to remember in a world that has the likes of Daredevil and Iron Fist as high level martial artists, a bar has to be set and that is probably why people with powers don't have any great fighting skill. There's a whole episode that focuses on one incident Det. Misty Knight had with Diamondback and kind of takes away from the whole...Luke Cage thing. Either way, this is still part of a greater story and worth binge watching one time just to stay in the loop.